London has been a seat of power since the Romans made it their capital in 50 A.D. After they abandoned the settlement in the 5th Century, it would not become a seat of leadership again until Alfred the Great retook control in 886, rebuilding the fortifications, adding new defenses, and transforming the old Roman city into a new population centre for his kingdom. It was from this point that London would become both the capital of England and the seat of royal power. 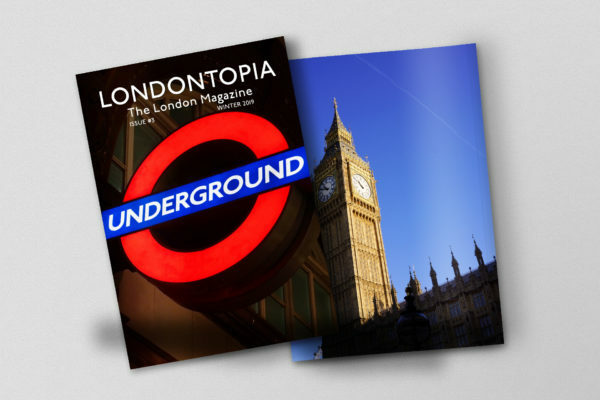 This was so much the case that taking London has been the priority of any individual or group seeking power in Brita, from William the Conqueror to Oliver Cromwell. 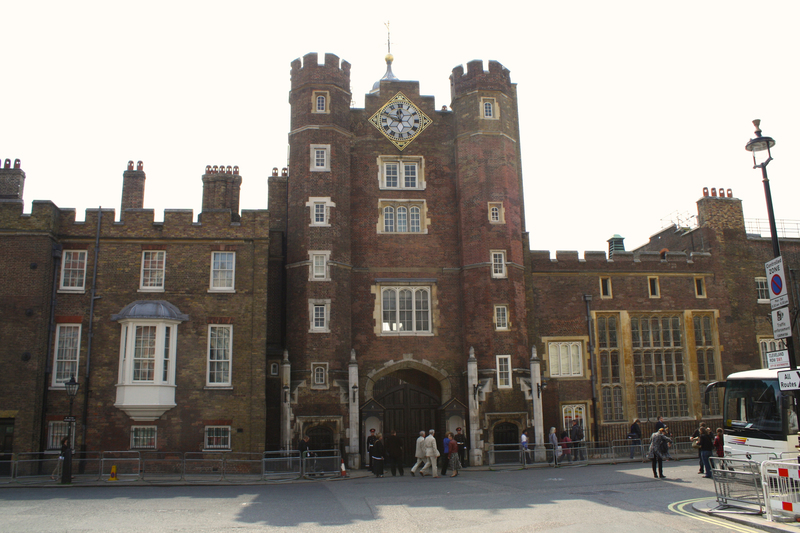 Many locations are tied directly to the Royal Family or have a connection in history to the throne. 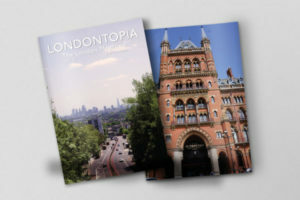 For anyone wanting to tour Royal London, we have provided a guide to these sites that have been paramount to the throne since the days of Alfred. One of the first buildings constructed as a royal palace was the Palace of Westminster. The original building was constructed by Canute the Great in 1016 on what was then Thorney Island, a place of strategic importance in the Middle Ages. His palace would be replaced by what was known as the “Old Palace,” built by Edward the Confessor. Westminster Hall would follow the Old Palace, which was constructed by King William II, and this was where the Curia Regis (or Royal Council, a predecessor to Parliament) would meet here, and the hall ceased being used as a royal residence when that part burned down in 1512. The building would be added onto and renovated until another fire destroyed much of the building in 1832, fortunately sparring Westminster Hall, around which the current Palace of Westminster was built. Despite not having been a residence for over 500 years, the Queen is still important to the palace and uses the Sovereign’s Entrance when she comes to the House of Lords for her annual speech opening the parliamentary session. At the same time, Edward was constructing the Old Palace; he was also working on Westminster Abbey. The area would earn the name Westminster from the abbey, which was the “West Minster” or west church (the original St. Paul’s the East Minster). Edward constructed the abbey as a royal burial church, but it would become a central location for the throne not only for funerals but coronations and weddings as well. The first coronation to take place here would be that of King Harold II in 1066 before he was defeated by William the Conqueror, who chose to hold his coronation here on Christmas Day that same year. William had his coronation here specifically to capitalize on the city’s royal symbolism, and nearly every monarch after him would follow suit. St. Edward’s Chair, named after Edward the Confessor, has been used in almost every coronation and is kept on display in the abbey when not in use. The first royal wedding to take place at Westminster Abbey would be that of King Henry I to Matilda of Scotland in 1100. Another sixteen royal weddings have been held at the abbey, all the way up to that of William, Duke of Cambridge and Catherine Middleton in 2011. While the abbey has been a place of great celebration, it has also been one of mourning. 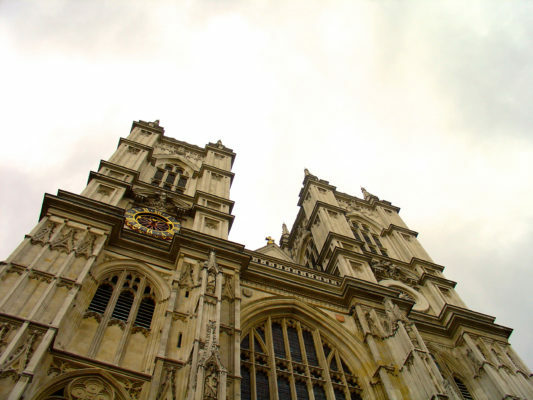 Edward built the church originally as his final resting place, and when King Henry III rebuilt it in 1245, he continued this purpose for Westminster Abbey and would be buried here himself in 1272. The tradition would continue for most of the Kings and Queens of England, with a handful of exceptions. The most recent royal funerals to take place here were that of the Queen Mother and Princess Margaret in 2002. The next major royal location to visit in London would have to be the Tower of London. King William, I began construction of it in 1078, just outside of the city. 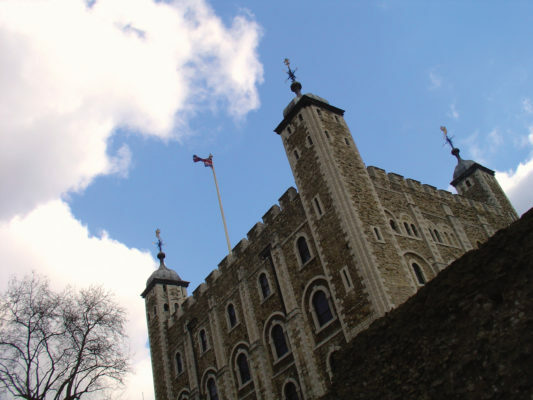 At a time when most buildings were one or two stories at best, William constructed the White Tower to tower over London and remind its residents who their new king was. Completed around 1100, it served both as a symbol of William’s power and as a fortress capable of defending London from attack. It was expanded over the centuries, and as future monarchs built new palaces, the Tower of London fell away as a royal residence and began to serve another purpose—a prison. The Tower was perhaps the most important jail cell in the country and tended to house the most important prisoners, including King Edward V (whose throne was ultimately usurped by King Richard III after Edward “disappeared”) and Mary, Queen of Scots. By the 13th Century, it was also serving another royal function when it became home to the Crown Jewels. The Jewel House on the Tower’s ground exists solely for housing royal regalia. 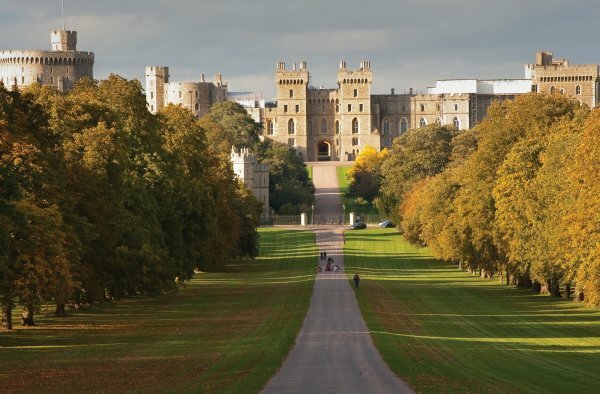 Another castle constructed by William I and still associated with the Royal Family today is Windsor Castle (Dear Pedants: Yes, we know Windsor is not in London but it’s close enough to be included in an article about Royal Sites in/near London). William had it built as one of a series of motte-and-bailey castles that were a day’s march from one another to help maintain his power in case of uprisings. William’s grandson, King Henry I, was the first monarch to make use of it as a residence and today it is the longest-occupied palace in Europe. Kings Henry III and Edward III would rebuild the castle to make it the grand Gothic residence that it is today. During World War II, it was a refuge for the Windsors during the London Blitz, and Queen Elizabeth II still uses it as a weekend residence when she’s in London. It is also one of the top royal places to visit in the city, as the Queen’s weekend use means it is typically more open to visitors and many of the monarchs who aren’t buried in Westminster Abbey are in St. George’s Chapel. King Edward II was gifted this palace by the Bishop of Durham and was used as a royal residence until the 16th Century. The palace was damaged during the English Civil War and never used as a residence again, though it remained in the property of the Crown. The current house was built there in the 1930s and has an Art Deco style. Eventually, the Crown turned over management of the property to English Heritage, who restored the 30s-era house and opened it as a tourist attraction. Just as all that remains of Eltham Palace is its Great Hall and some servants’ quarters, another former residence to visit is the Palace of Whitehall. Originally named York Place, it had been the home of Cardinal Wolsey until King Henry VIII removed him from his position and decided to take his house as a residence in 1530. One of the most well-known parts of the palace is its Banqueting Hall, which was designed by famed architect Inigo Jones and is one of the only parts to survive the fire that ravaged the palace in 1691. The remainder of the surviving buildings and area became government offices. Hyde Park is one of many places in the city that once existed solely for the monarch’s pleasure. It was once the woodland home to the Manor of Hyde, which was owned by Westminster Abbey until the Abbey turned it over to King Henry VIII in 1536 during his Dissolution of the Monasteries. Henry subsequently turned it into private hunting property, and it wouldn’t open to the public until King Charles I did so in 1637. “Rotten Row” in the park was once a private road for King William III when he moved into Kensington Palace. Kensington Palace was originally a mansion constructed by Sir George Coppin in 1605 and then Heneage Finch, the First Earl of Nottingham, purchased the home in 1619 before it became the property of King William III and Queen Mary II in 1689. Kensington then became the favorite palace of the Crown for the next seventy years. Despite not being the favored palace, it is still a major royal residence, currently home to the Duke and Duchess of Cambridge, Prince Harry, and other members of the Royal Family. Kensington Gardens would develop next to Hyde Park during William’s reign and is home to the Princess Diana Memorial Playground while the Princess Diana monument can be found at the end of the Serpentine lake in Hyde. Diagonal and further down from Hyde Park, St. James’s Park was another piece of property acquired by Henry VIII, and when King James I ascended the throne, he began a royal tradition of improving the landscaping of the park. Bordering it is Green Park, which contains the Queen’s Walk, constructed for Queen Caroline by her husband, King George II, and was the site of one of the assassination attempts on Queen Victoria. 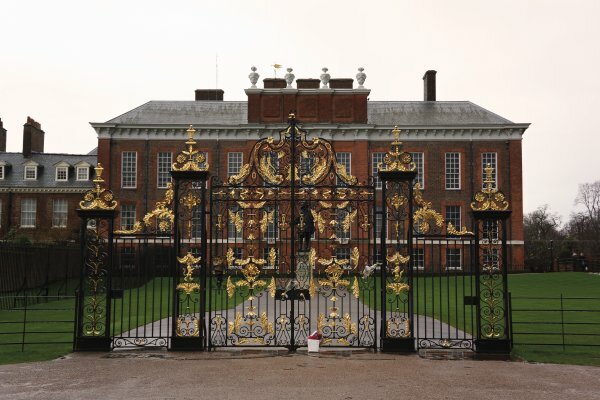 Together, the four parks link several royal properties together including Kensington Palace, Buckingham Palace, and the Royal Mews. As part of King Charles II’s redesign of St. James’s Park, he ordered a straight passage that was 2,560 feet long, 125 feet wide, and lined with trees on either side. One of the purposes of this land was to play one of Charles’s favorite games, pall-mall, which was a forerunner of croquet. Later shortened to “The Mall,” it would become a major thoroughfare due to one of London’s most famous royal attractions. 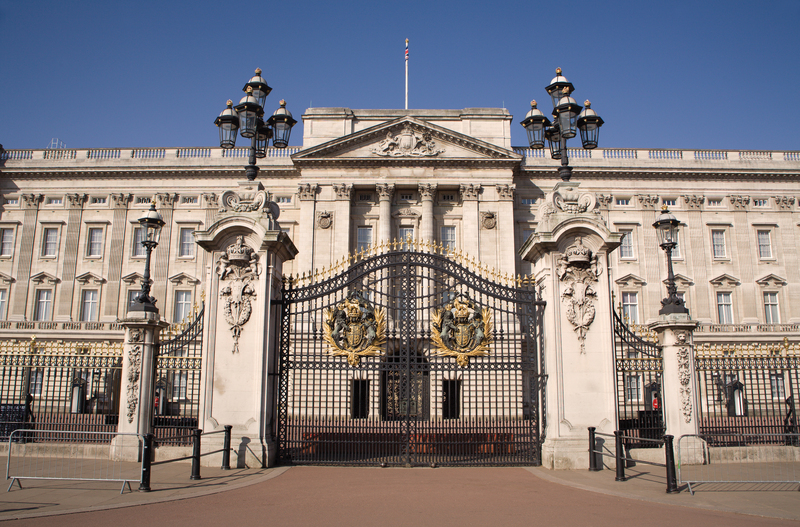 One of the best known and most visited places in London, Buckingham Palace is the current home of the Sovereign. A couple of houses had existed on the site prior to the 18th Century, but it was the home constructed by John Sheffield, First Duke of Buckingham and Normandy, from whom Buckingham House would derive its name. The core of the house was a three-story building flanked by two service wings. Sir Charles Sheffield, the Second Duke, sold the home to King George III in 1761, who used it as a home for his wife, Queen Charlotte. It was during her time living here that it first became known as Buckingham Palace. Renovations began under King George IV and continued under King William IV, the latter, unfortunately, died before it was completed, which is probably a good thing as William wanted to make the palace the new Houses of Parliament after the Palace of Westminster burned. With William’s death in 1837, Buckingham Palace became the home of the Sovereign when Queen Victoria moved in after her ascension. As her and Prince Albert’s family grew, they engaged architect Edward Blore and builder Thomas Cubitt to construct the east wing of the palace in 1847. This wing became the palace’s public face, with its balcony being a major location for appearances by the Royal Family, the first recorded balcony appearance occurring in 1851. Since Victoria, it has become the primary location for Court ceremonies, investitures, and state banquets. This typically means that the palace is only open to visitors during Summer and Autumn, from July to October. Even when the palace is closed to visitors, many will still line up to see the Changing of the Guard at 11:30 AM every day. Another royal place in the city begun during Victoria’s reign is the Albertopolis. The Royal Commission for the Exhibition of 1851 wanted to make sure the goals of the Exhibition kept going after the original event ended. Prince Albert and the other members of the Commission used the proceeds earned to purchase property in South Kensington where institutions would be constructed that furthered interest in the arts and sciences. In addition to the Albert Memorial on the edge of the Albertopolis and Kensington Park, the area includes the Royal Albert Hall, the Victoria and Albert Museum, the Science Museum, the Natural History Museum, and several institutions of higher learning. Lastly, once you’ve finished touring all the places important to Royals, you can shop like them too. A Royal Warrant is a special patent that denotes a seller of goods that has been in service to members of the Royal Family for at least five years. Warrant holders include many varied organizations such as dry goods, tailors, and even hotels. 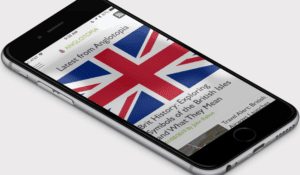 Their holders include tea merchants Fortnum & Mason, grocery store Berry Bros. & Rudd, Mount Street Printers & Stationers, Bibliophile, and more. The Royal Warrant Holders Association has a searchable datable on its website (www.royalwarrant.org) that you can use to find some of the best items in Britain or you can simply look for the warrant marks on the product’s packaging. The next time you visit London, be sure to steep yourself in royalty by visiting the places mentioned above. The city has been one of the world’s oldest capitals, and its history with monarchs runs so deep that you won’t have to go far to experience every monarch from Alfred the Great to Her Majesty, Queen Elizabeth II. You can walk their halls, see their legacies, and even purchase their goods. 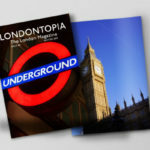 Whatever you decide to experience in London, you can do so as royally as any monarch ever has. Thank you so much for this tour of the palaces and their history! I enjoyed your article. It’s nice to have London’s royal history in a succinct article. And it makes me anxious for my next trip to London! Just one small thing: Mary Queen of Scots was never a prisoner in the Tower of London. Her long imprisonment by the English was at various locations in the the north of England. On the other hand, Lady Jane Gray was one of many important royal prisoners held at the Tower. Last time we were to London we checked out the palace and tower stayed in a home we found in https://stay.com sure felt like royalty 🙂 it was a nice trip with the kids.